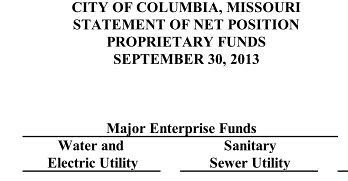 A little-known bonanza called "Unrestricted Funds"
COLUMBIA, Mo 11/30/14 (Beat Byte) -- If you blinked, you might have missed it: a report Columbia's City Hall is using over $2 million from the "Sewer Retained Earnings Account No. 555-0000-351.01-0" to help pay for the Flat Branch Sewer Relief project. The Flat Branch project would increase downtown sewer capacity and decrease basement backups and sewage overflows in nearby central city neighborhoods with a combination of existing funds and fund diversions from projects such as the Henderson Branch extension to Midway, much in the news of late. The real news may be the sudden appearance of $2.1 million from a source few people outside City Hall knew existed. The Sewer Retained Earnings account did not come up when city manager Mike Matthes repeatedly said Columbia was out of money for new infrastructure. It did not come up when Mayor Bob McDavid famously said "we can't just write a check to repair these sewer problems," while chastising the public for "wrongly" presuming City Hall had the money. But City Hall is writing a check, which raises the question: Where did the money come from? One plausible answer is from the Sewer Department's "Unrestricted" fund, which in 2013 -- the last year reported -- had over $11 million. 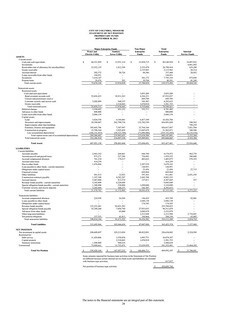 The multi-million dollar sewer stash shows up on page 29 of city government's Comprehensive Annual Financial Report (CAFR). It is one of three categories that break out the sewer department's "net worth," i.e. 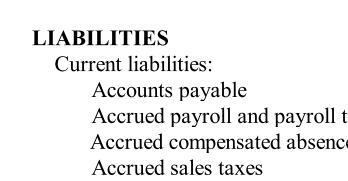 assets minus liabilities (click pic below for larger pic). Known in government accounting as "net position," these net worth categories show how City Hall spends the money it makes from providing sewer service, i.e. 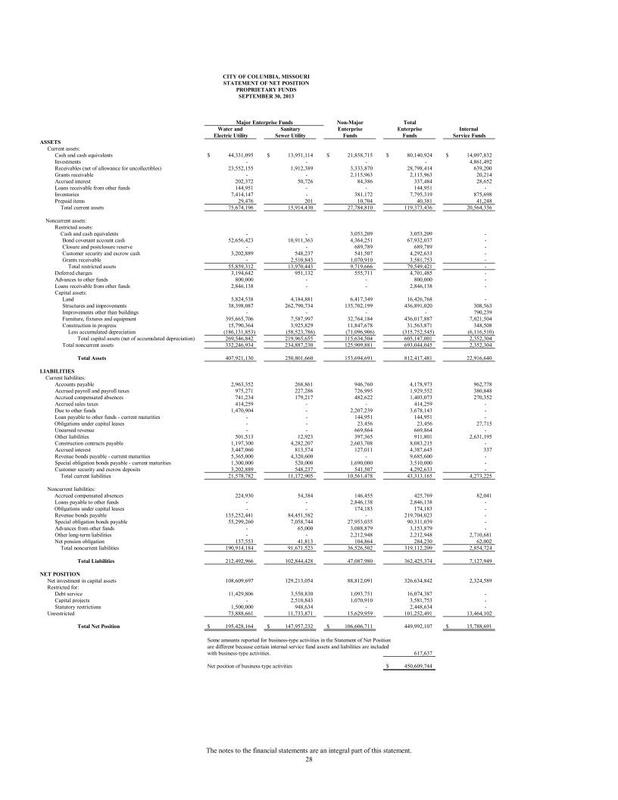 revenues minus expenses. 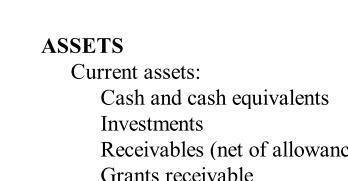 The Sewer Department has $129.2 million in "capital assets" -- sewer lines, real property, buildings, and so forth. 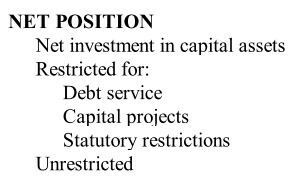 In cash and liquid investments, it has $3.5 million restricted for debt service; $2.5 million restricted for capital projects (i.e. new sewer lines); and $948,634 restricted by law, possibly for state and federal mandates. The rest -- $11,733,831 -- is as its name implies: not restricted. Not for certain projects; not by law; not for debt. It is available as the City Council sees fit. In light of the city manager's dire annual budget, the availability of over $11 million for sewer projects might seem confusing. Didn't Matthes tell the city this year's budget would be tight? Hasn't the Mayor repeatedly said "there's no money in the budget?" "This is a very important distinction," explains the simple-to-follow handbook, Understanding Governmental Accounting. NEXT: The Water and Light Utility's Unrestricted Fund: Why is City Hall ignoring the City Charter? You are here: Home News Headlines City Hall Budgets and Finances UNRESTRICTED, Part 1: How did CoMo City Hall suddenly find $2.1 million to replace aging sewers?